This is one of the rare moments in this business that we eagerly anticipate: the first official details of an truly important new model. As a journalist, having experienced these product launches for thirty years, most of these new model introductions are routine… we’ve seen so many of them before that we know what the important questions really are and that the real interest will or will not will come until the first test drives many months later. Most launches just aren’t that exciting to the industry or to us. But this one of the special ones. As a hobbyist, we’ve been watching the spy pictures and videos captured during the development of this car for almost a year. The new engine became clear from the video, the spy pictures revealed the Michelin 295s up front with the enlarged front fenders, we saw the Brembos all around – and we knew that a truly special car was in development. 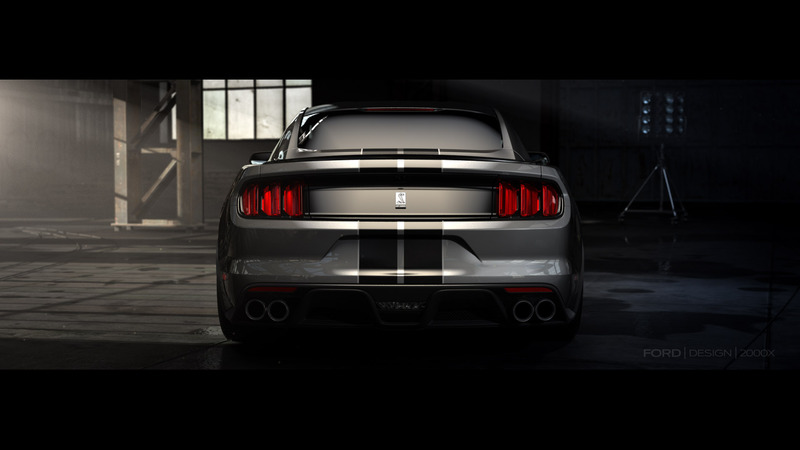 But there was also so much that couldn’t be ascertained about the GT350 from that kind of material. Unlike the introduction of the 2015 Mustang, where hundreds of spy pictures revealed almost everything before the launch (all of the styling, the origin of the chassis as an evolution of the previous chassis, almost every detail of the IRS, even a picture of the engine from a test vehicle with its hood open). 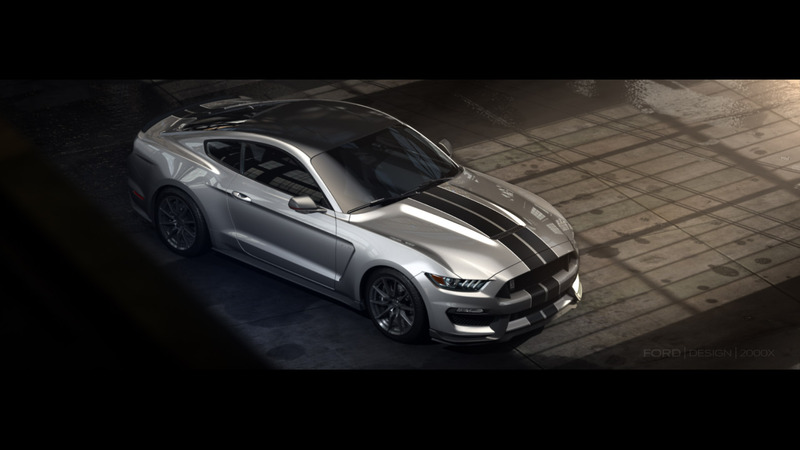 But now the GT350 introduction has surprised us – and excited us. 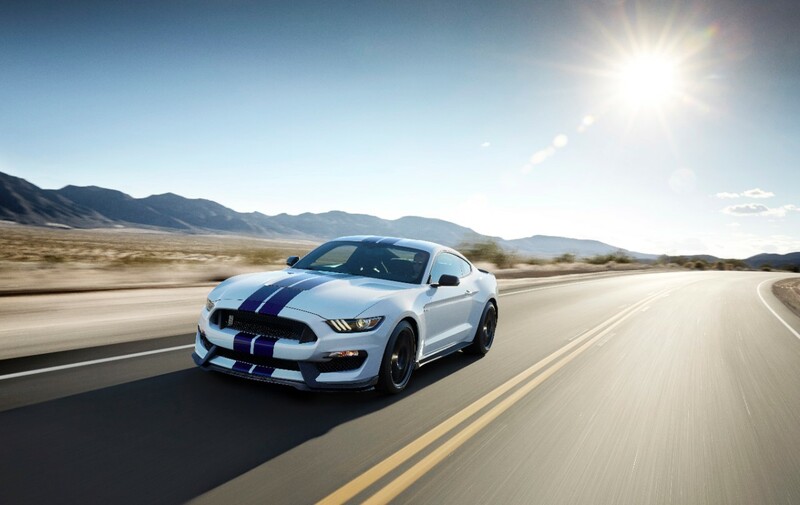 All the potential that we’ve seen in the new IRS-equipped chassis, in the engine, and in the tuning of all together as a single integrated system – which we didn’t fully see in the 2015 Mustang GT – is here at last in the GT350. This is where it all comes together, this is where Ford engineers built what they were capable of building rather than what they were constrained by budget in building. This is where we see the proper tires for the suspension, the proper tuning of the suspension, the proper brakes for the car, and a major evolution of the Coyote engine. And we see surprises – with magnetoreological shocks leading the list. This is a technology that truly offers it all, and which can’t be beat. 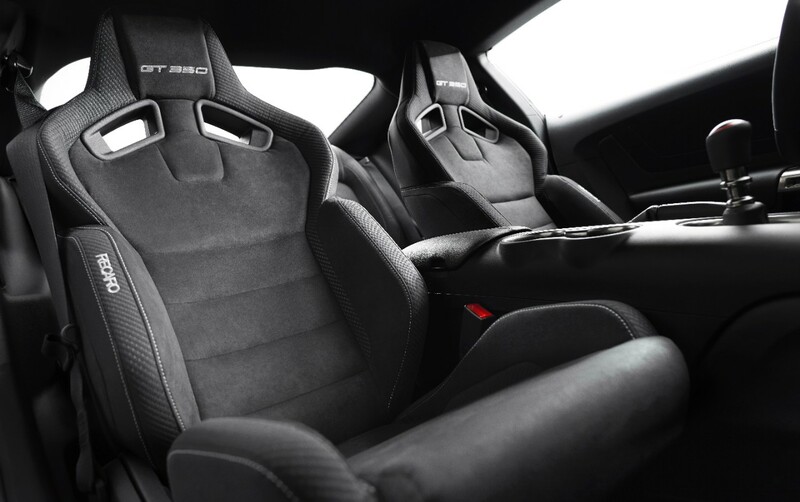 We’ve driven cars equipped with this at high-speed on the track, in autocrosses, and on the street and it solves the #1 problem of suspension tuners: that shock dampening rates always have to be tuned for a compromise. Either the damping is right for the track, or right on the street, but never both. Always a compromise and never right at either side of the spectrum – much less at the extremes. Now we can have it all (kudos to GM for originally inventing this system). 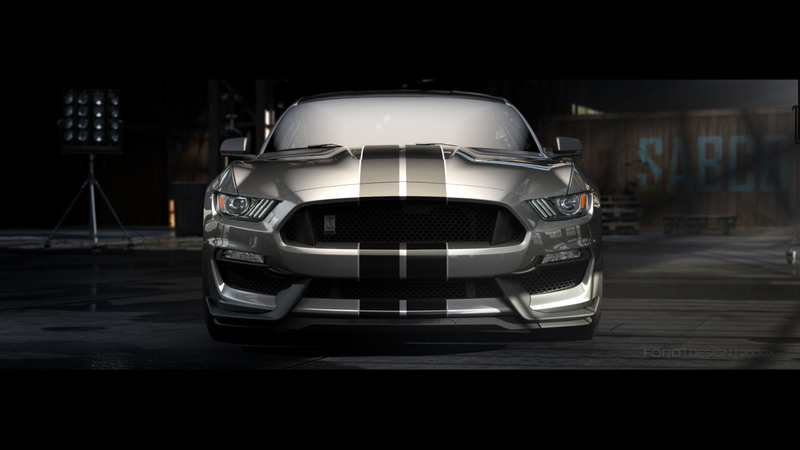 And then there is the GT350 engine. The car couldn’t have been done without a unique engine and its one of Ford’s all time greats. The extra displacement doesn’t surprise us – while we don’t know all the details yet, it is probably a spray-bore engine (removing the liners gains some extra bore). And while we knew it is a flat-plane crank engine, there are many engineering details we don’t yet know. We’d assume the engine is topped by a Boss302-type of intake in order to support the claimed 8000 RPM, but again we don’t know. We’re very much looking forward to the press briefings that will be held just before production begins. Being engine geeks, we want to run our hands across the new crankshaft and peer down the unique intake and exhaust ports of the improved cylinder heads. We’re also very happy that the new engine is naturally-aspirated, as supercharging is a technology that inherently suffers from heat soak on the track – we have personally tried it, it’s failed, and we want no part of it. 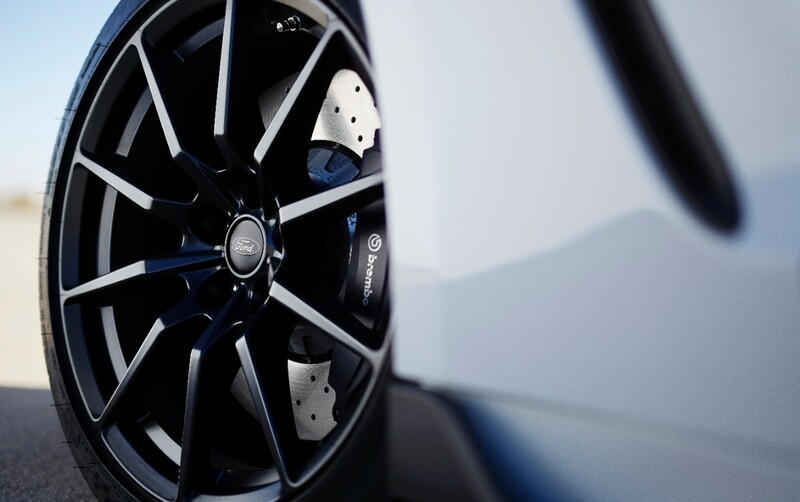 And last, but just as important, is the improved Brembo brakes. Finally, the right brakes for the car all around. 6 pistons up front, 4 in the rear. The kind of front and rear capability and balance that complements the chassis tuning. Rather than the silly system in the GT with 6 (smaller) pistons up front and a single piston iron caliper in the rear. Just slightly better than the severely under-braked Boss302, but clearly not up to the inherent capabilities of the chassis. 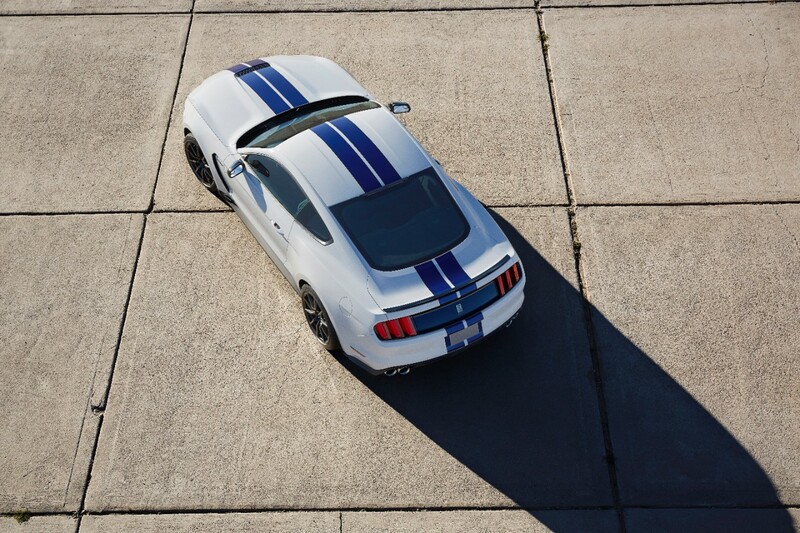 No more, the GT350 has it right. One critical element we don’t see yet is the weight. The curb weights of the new Mustang were a closely guarded secret right up to and even after the car went on sale. 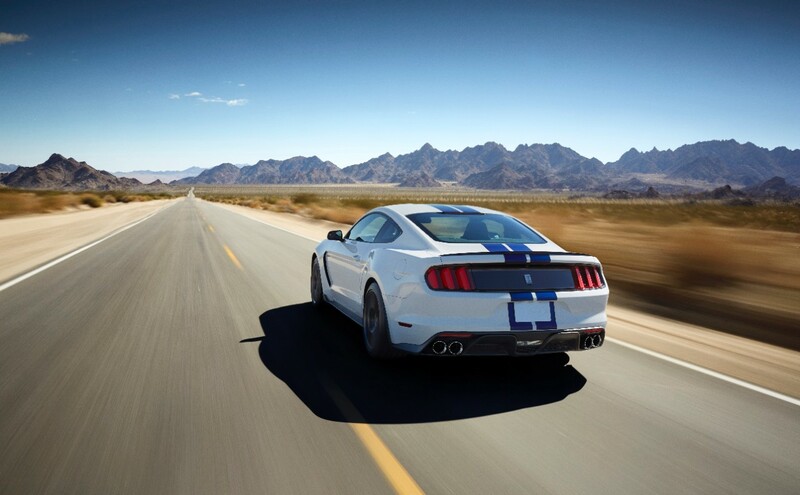 The Mustang GT turned out to be much heavier than it’s predecessor, and even more so when heavily (no pun) optioned. 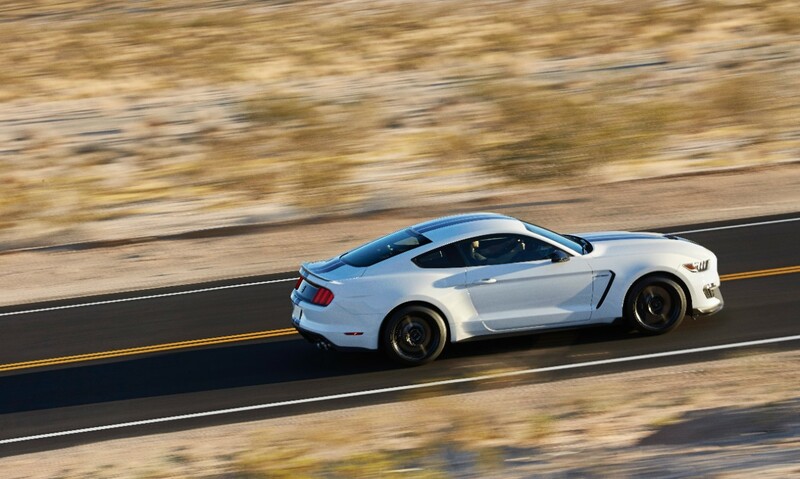 We can’t see how the GT350 is going to lose any major weight. 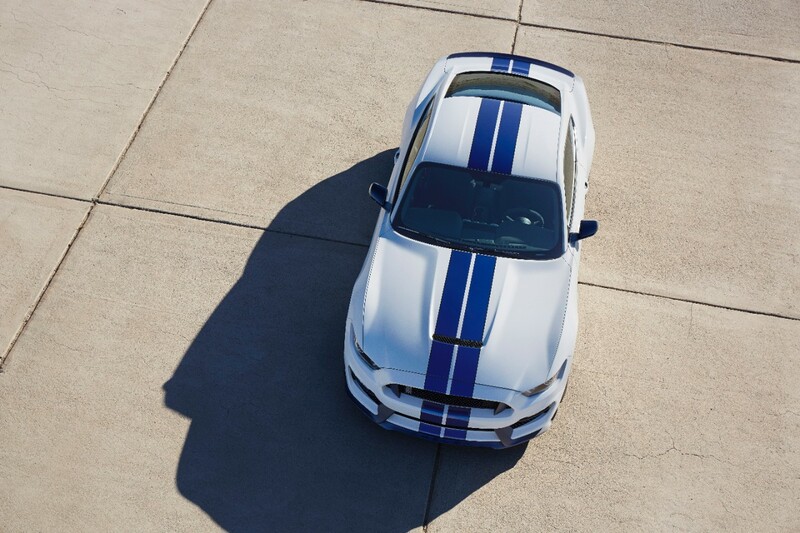 The base Mustang already has aluminum fenders and hood, so there isn’t anything that will be gained there. The larger wheels, tires, and brakes will add more weight. 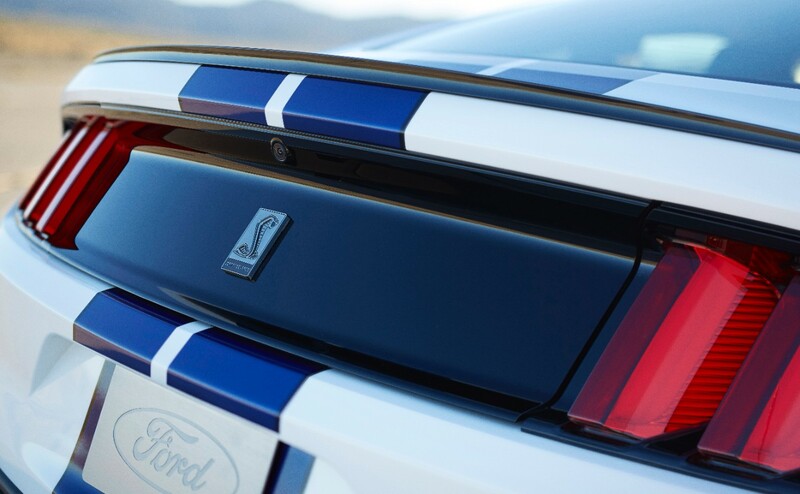 There might be some surprises that we haven’t seen yet, but at this point we’d predict the base GT350 will weigh in the high 3800 pound range and will have the same front-to-rear balance. A base Mustang GT, with the base suspension weighs 3704 pounds. Now, with the introduction complete, the next milestone will be the first test drives for the press. Hopefully that’s where we’ll find the final specifications including the HP, torque, and weight. Unfortunately, this event is many months off for us. The Ford press release follows, and we’ve includes all the images and video for your viewing pleasure!